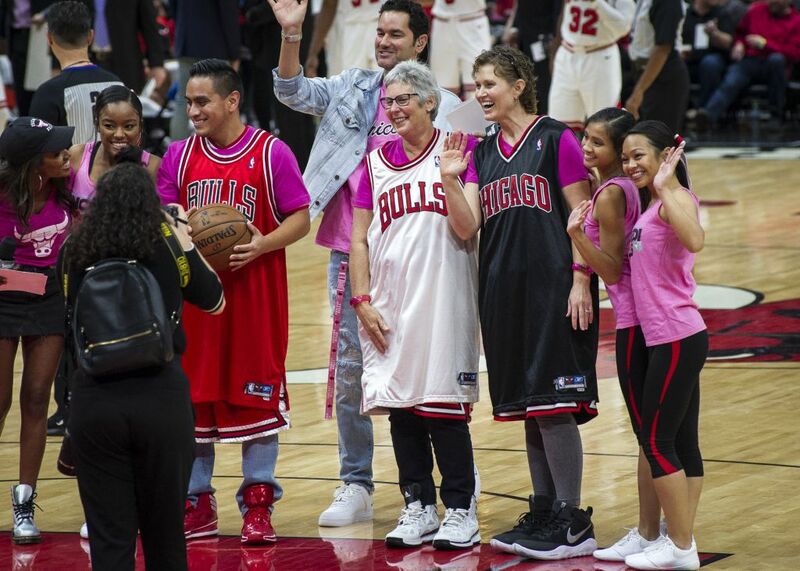 Dozens of breast cancer survivors, fighters and family members from across Illinois, flanked by clinicians involved in their care, gathered to #PinkOut the Chicago Bulls preseason home game on October 10. 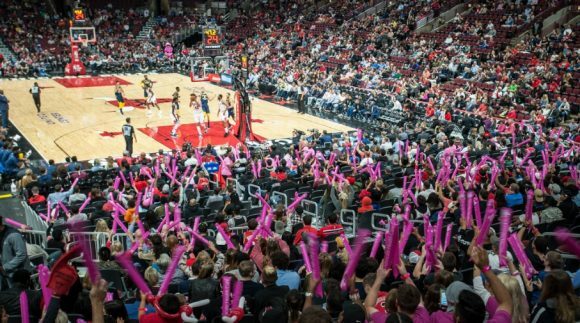 The evening marked the sixth consecutive year that Advocate Health Care and the Chicago Bulls joined together to promote breast cancer awareness and honor those impacted by the disease, which one in eight women will develop during her lifetime. 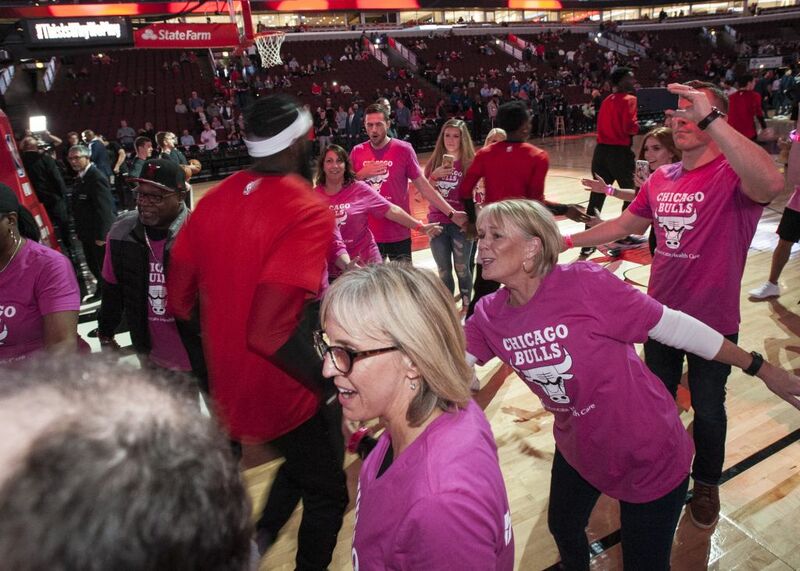 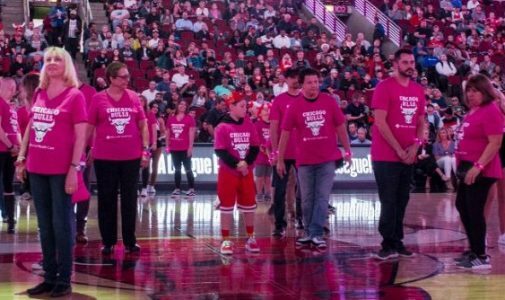 Breast cancer fighters and survivors dished out High-Fives to Bulls players as they exited the locker room, and formed a pink ribbon on the United Center court. 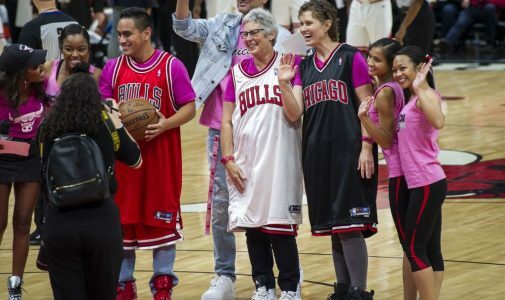 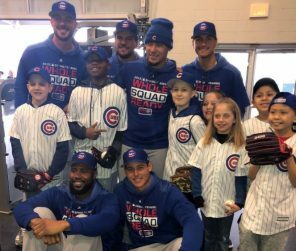 Dr. Heidi Memmel, medical co-director of the Caldwell Breast Center at Advocate Lutheran General Hospital in Park Ridge, Ill. and a breast cancer survivor herself, served as game ball presenter. 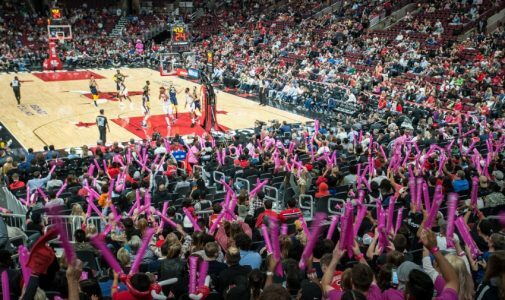 PinkOut events occur across the country and are an important way to spread education about breast cancer. 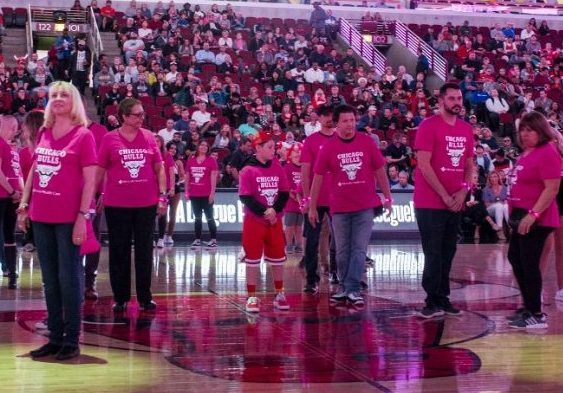 The first line of defense against breast cancer starts at home. 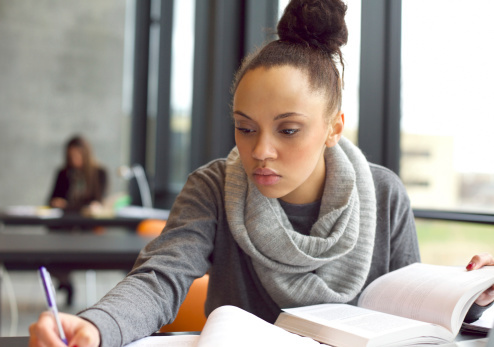 Women should perform a breast self-exam every month following your menstrual cycle. 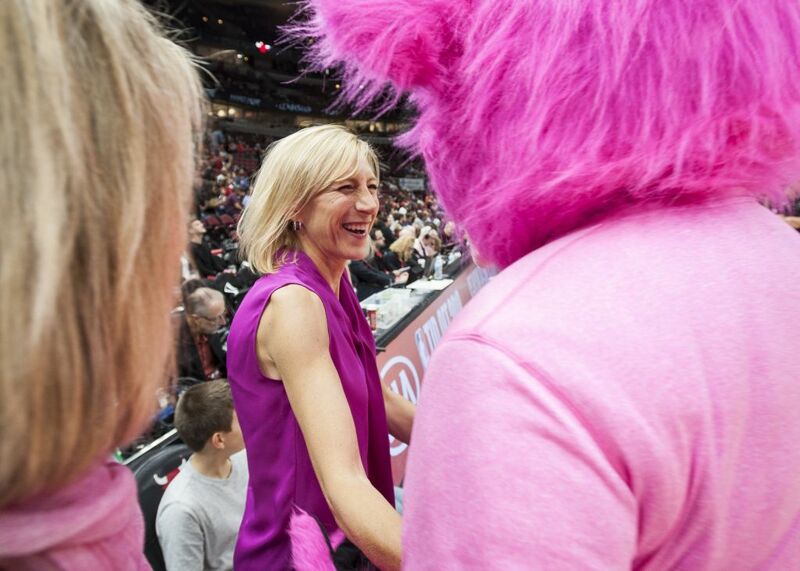 After menopause, perform a breast self-exam on a set day of each month. A mammogram is the most effective tool for detecting breast cancer in its earliest stages. 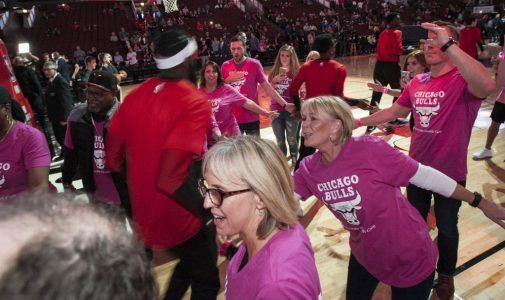 Cancer specialists recommend that women have a baseline screening mammogram at age 40, with mammograms annually after age 40. 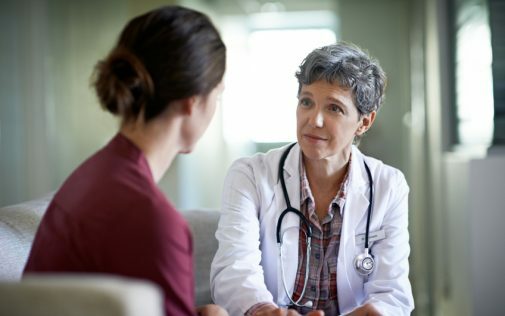 A screening mammogram is used to detect cancer early in women who have no symptoms and are due for a simple yearly evaluation – this includes women with breast implants. 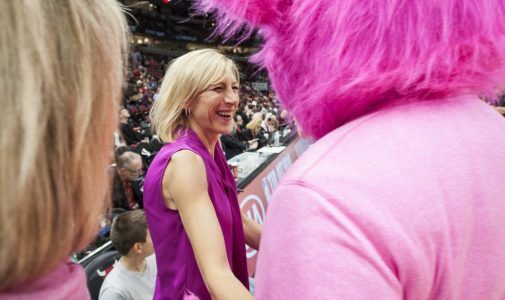 ← Salad bars: A healthy option, or just as bad as a burger?